Social Media Incident Management – A BCM Managers’ Essential Guide. In today’s expansive and instantaneous social media reporting, a company must establish the social media incident management that includes a facet for assessing and distributing communication through social media. It is imperative for a representative to effectively manage and engage in media communication and social media chatter that have the potential for a considerable impact. Join us in this upcoming seminar and prepare yourself with the means and the methods of ensuring that whatever the service is disrupted or fails to deliver, it is essential to restore the operation as quickly as possible. Also, any condition that has the potential to result in a breach or degradation of service ought to trigger a response that prevents the actual disruption from occurring. Mingle and interact with fellow seminar participants in our half-hour Networking Tea Break. So hurry to register your name soonest! 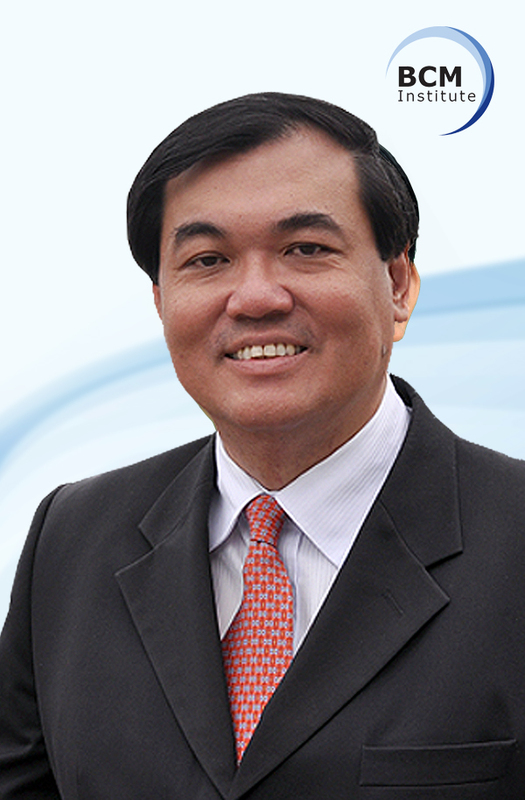 Dr Goh Moh Heng is the President of BCM Institute and the Managing Director of GMH Continuity Architects – a specialized BCM Consulting firm. His primary areas of expertise include Business Continuity Management (BCM), Disaster Recovery Planning (DRP), ISO22301 BCM Audit and Crisis Management.Since 2011, Moh Heng has assisted more than 30 organizations, particularly those operating in the Asia Pacific and Middle-East Region in their successful implementation of their Business Continuity Management System (BCMS) and achieving their BS 25999/ SS 540 / ISO 22301 organization certification. Since 2011, Dr Goh is a serving member of the APEC small and medium enterprise BCM subject matter expert. This involves the guidance of SME related BCM implementation and rollout to its 21 economies. Dr Goh is also a working member of ASEAN Secretariat, in conjunction with Japan International Cooperation Agency (JICA), assisting SMEs within ASEAN to develop its BC plan based on a zonal disaster (known as Area BCP). He is recognized in the industry to be one of the professionals who can explain BCM in a very simple manner.